EXCELLENT HEALTH. HOW DO WE GET IT? Shalom. Our chapter of study this morning is about leprosy. But rather than teach about leprosy, I prefer a study on health, excellent health. Thus the Title of our teaching is, EXCELLENT HEALTH. HOW DO WE GET IT? So with that said, let’s read Leviticus 13.1-8. The Bible says that Job was perfect and upright, and one that feared GOD and shunned evil. But because of satan, Job experienced great sickness and hardship and misery. GOD gave satan power to afflict Job with undeserved sickness and suffering in order to test Job’s righteousness, to know what was in his heart. Whether he would keep GOD’S Commandments or not. And Job responded to his great suffering by praising GOD, and refused to blaspheme The LORD, and he continued in his righteousness obeying The LORD’S Commandments. And in time GOD healed Job and blessed him greatly. (Leviticus 26.16) Terror involves troubles. Consumption might be tuberculosis. And the burning ague is a burning fever, for not obeying GOD’S Laws that are written in The Law of Moses. Here’s a well-kept secret that’s hidden from most people, and it’s right out in the open, written in The Bible for everyone to see. But most Bible teachers and preachers hide it from their people for some reason. Maybe they don’t see it. Yeshua The Messiah, Jesus Christ in The Bible, instructed the People, and all who read The Bible, Do Not Break The Law of Moses, but rather live by The Law of Moses. Go and sin no more, Yeshua said. Live by The Law, all GOD’S Laws that are written in The Law of Moses. Those are the Words of Jesus Christ, and they are not taught. Why? John, whose Hebrew name is Yochanan that means GOD is Gracious, teaches that sin is breaking the Law of Moses. I JOHN 3.4. And Jesus says, Go and sin No More. How can we have better health, even excellent health? The Bible teaches that the fear of The LORD is the beginning of knowledge. The fear of GOD is to be exceedingly fearful of Him. The fear of GOD will make you obey The LORD. The fear of The LORD will make you learn His Laws and do them. Yeshua said, “Don’t fear them that kill the body, but are not able to kill the soul. But rather fear Him which is able to destroy both soul and body in hell.” The fear of the Lord is the beginning of knowledge. And that knowledge is obeying GOD. The Bible often speaks of wisdom. Wisdom is revealed in the person who lives his or her life according to Torah, The Law of Moses. The Law of Moses is the Wisdom of GOD along with your Atonement in Messiah Yeshua. (Proverbs 3.2) Peace in Hebrew is shalom. Shalom includes good health. (Proverbs 3.8) Health to your navel is a cure for your body, and a medicine to your bones when you do not forget GOD’S Law of Moses, and keep His Commandments. That is wisdom and health. What I tell you is no secret. Excellent health is available to everybody if they have ears to hear, eyes to see, and a heart to understand. The Bible is full of the good news of health. The problem however is the lie that is so extensively taught to reject the Wisdom of GOD that is taught in The Law of Moses. Thus rejecting health, and peace, and atonement, and eternal Life. The false teaching that Christ did away with The Law on the cross is demonic. Read satan’s conversation with Eve in the Garden of Eden in Genesis 2 and 3, especially Genesis 3.1-4. The Word of GOD includes The Law of Moses. Good health, even excellent heath come from obeying all GOD’S Laws that are written in The Law of Moses that GOD gave to the Jewish People for all mankind to live by, for their good, and for their health. And GOD ALMIGHTY is Yeshua The Messiah. I find it, well, strange. Even odd that so many families in the Western world have Bibles in their homes and don’t know The Truth of GOD. Billions of Bibles are in billions of homes in North America, South and Central America, Europe, Russia. Add to that people in the Middle East, Africa, and the Far East. People all over the world have Bibles in their homes that were written by Jewish writers who have revealed the ways of GOD, and what GOD requires of them. Yet most people have no idea what The GOD of Creation requires of them. Paul says that GOD has sent them a strong delusion that they should believe a lie. Those Jewish writers of The Bible have made publically known to the world, to all mankind every Rule, Teaching, Law and Instruction of GOD, all written in The Law of Moses, in the first five books of The Bible, for GOD’S human creation to follow for their good, for their health, for their atonement, for their salvation and their eternal Life. But with Bible in hand, too many people believe a strong delusion that Jesus Christ has abolished His own Law of Moses. Thus sickness, disease, pestilence, plagues, epidemics, floods, wars, and so on. Because of disobedience to GOD and His Law, Instructions and Teachings that are written in The Law of Moses. In this Chapter that prophesies Messiah Yeshua’s atoning death, Isaiah 53.5, teaches that Yeshua The Messiah was wounded for our transgressions. Meaning Messiah Yeshua was killed for our transgressions. He was bruised for our iniquities, beaten for our sins. The chastisement of our peace was upon Him. Messiah Yeshua was punished for our iniquities, and killed for our Atonement. All The Plan Of GOD. And with His stripes we are healed, The LORD GOD says. We are healed because His Atoning death atoned for our sins, and sin is sickness. Not doing GOD’S will, disobeying GOD’S Laws are a sickness. But now with Messiah’s Atonement, you are healed of your sickness of sin. Your life is new, and clean. And what does The LORD require of you? Repent. Turn to GOD and obey Him. And live your life according to The Will of GOD, according to His Laws, Teachings and Instructions that are written in the Law of Moses. The word “turn” in Hebrew, as in, “If the wicked (ungodly) will “turn” from all his sins”, is Shoov, meaning Repent. PHILIPPIANS 2.12-16 The fear of The LORD is the beginning of wisdom. Belief in The Messiah Yeshua is the beginning of Salvation. Your walk with GOD begins. Your sins have been forgiven in Messiah Yeshua. Now you are ready to walk a new life with GOD. Repentance is required of you. Work out your own Salvation with fear and trembling. Obey His Law of Moses. Those are the words of Paul. For it is GOD Who works in you to do His Will and Good Pleasure. His Will and Good Pleasure are for you to obey Moses, the Servant of GOD. Good and excellent health are yours, along with Deliverance, Salvation and Eternal Life when you follow GOD’S Ways, and obey His Law, His Law of Moses. The Sabbath is Holy to The LORD, a Sabbath of rest to The LORD. On the seventh day, Saturday, GOD ended His work which He had made, and rested on the seventh day, Saturday. “Remember the Sabbath day, Saturday, The LORD says, to keep it Holy. In it you shall not do any work.” Yet the church rejects that Commandment also. 1 PETER 2.21-24 Peter, whose Hebrew name is Shimon, Matthew 4.18, teaches in The New Testament that Messiah Yeshua is our example that we should follow His steps, who did no sin. Yeshua never eliminated the Saturday Sabbath. Nor did He abolish one Word, or one Letter from The Law of Moses. Since Jesus never abolished one Word or one Letter from The Law of Moses, why does the church abolish the entire Law? What does The LORD require of you, but to fear The LORD your GOD, to walk in all His ways, and to love Him, and to serve The LORD your GOD with all your heart, and with all your soul. To keep The Commandments of The LORD, and His Statutes that are written in The Law of Moses, for your good. For your health, even for your excellent health. Posted on March 29, 2015 March 29, 2015 Categories Shabbat MessageLeave a comment on EXCELLENT HEALTH. HOW DO WE GET IT? Shalom. Our teaching this morning from Torah, The Law of Moses will be from Leviticus 12.1-8, and the Title of our Message is, Childbirth, Purification, and Circumcision. And with that said, let’s read Leviticus 12.1-8. LEVITICUS 12.1-4 The word separation in Hebrew NEE’DAH meaning menstruation. And the word infirmity in Hebrew is DOE’TAH meaning sickness. Thus The LORD spoke to Moses, saying, If a woman conceives and gives birth to a boy, she shall be unclean seven days as she is unclean during the time of her menstruation. And in the eighth day the boy shall be circumcised. She must wait an additional thirty three days to be purified from her menstruation, and she is not to touch any Holy Thing, or come into the Sanctuary until the time of her purifying is complete. LEVITICUS 12.5 But if the woman gives birth to a girl, she is unclean two weeks from her menstruation, and she must wait an additional sixty six days to be purified from her menstruation. She also shall not touch any Holy Thing nor come into the Sanctuary until the time of her purifying is complete. (John 10.30) The word One also means the same. Yeshua said, I AND MY FATHER ARE ONE AND THE SAME. Let’s return to LEVITICUS 12.4 for a moment. During the days of her purification, the woman who gave birth shall not touch any Holy Thing nor come into the Sanctuary until the days of her purification are complete. The days of a woman’s purification at childbirth are according to GOD’S Laws that are written in The Law of Moses. They are GOD’S Instructions. The mother shall not touch any Holy Thing, nor come into the Sanctuary until the days of her purifying are complete. The Sanctuary and the Temple contained the Holy Things. The Altar, the Ark of The Covenant, The Holy of Holies, The Menorah, the seven branch candelabra, the Table for the Showbread, and the Showbread, the Altar of Incense, the Basin for washing the Priests, the Tabernacle and Temple Courtyard, and the Offerings and Sacrifices were Most Holy to The LORD. The Holy Garments of the Priests, and the Holy Anointing Oil of course were Holy. She was not allowed to touch those Holy Things, nor come into the Sanctuary or the Temple until the days of her purification were complete. The Synagogues throughout the world are for worship and gatherings of the Jewish People. Reading The Torah, The Law of Moses, and The Holy Scriptures. The Synagogue is the focus of Jewish Life, a House of Prayer, a Place of study for religious instructions, and a Center for the Jewish community to gather. In fact, it is the Synagogue that influenced Christian and Moslem forms of worship. Today the Synagogue has its role as a community center. Some Synagogues provide education, social and athletic activities in addition to its religious functions. But the Synagogue, although it has extraordinary importance in the Jewish community, is not the Sanctuary, nor is it the Temple that contained the Holy Things such as the Altar and the Ark of the Covenant, etc. Thus I am not sure that these rules for the mother entering the Sanctuary until her purification is complete applies to the Synagogue. However my answer is that they do. The woman should not enter the Synagogue for the prescribed amount of time after childbirth. LEVITICUS 12.6-8 Of course there is no sacrifice today without the Temple in Jerusalem, Leviticus 17.8-9. Yeshua The Messiah is our sacrifice for Atonement. But why the sin offering for atonement at childbirth? The word atonement in Hebrew is KAH’FAHR also meaning “cleanse”. Thus the mother is cleansed from the issue of her blood through the sin offering. However having Yeshua The Messiah for her Atonement, she is cleansed of her issue of blood according to The Law for her that has born a boy or a girl. Let’s return to LEVITICUS 12.3. Genesis 17.1 Being perfect means believing in The One GOD, and obeying GOD’S Commandments, Statutes, and Laws. Today called The Law of Moses. Being perfect today is believing in The Messiah Yeshua for your atonement, and the above. Genesis 26.4-5. Genesis 17.9 Keeping GOD’S Covenant is obeying His Word, and His Law, The Law of Moses. Psalm 105.8-10. The circumcision is for a token of the Covenant between GOD and Abraham, and the Jewish People. Token in Hebrew is OTE meaning evidence, a sign, and a miracle. And Covenant in Hebrew is B’REET meaning a contract or commitment. The circumcision is a sign of GOD’S covenant with Abraham and his descendants, the Jewish People for an Everlasting Covenant to be GOD to Abraham and the Jewish People, to give all the land of Canaan which is today’s Israel whose borders extend to the Euphrates River for an Everlasting Possession. Why do past American administrations, including the current administration, and the Europeans, and the Middle Eastern nations, and the United Nations try day after day, month after month, and year after year to force the Jewish People to forfeit large portions of their God-Given Homeland to the Arabs? Is it not because of anti-Semitism? Those who pressure Israel into surrendering her God-Given Land should know GOD’S Covenant to them in Genesis 12.3. GOD will bless those who bless the Jewish People, and GOD will curse those who curse the Jewish People. And GOD’S Covenant is further explained by Yeshua the Messiah for blessing or cursing the Jewish People in Matthew 25.31-46. For blessing the Jewish People, Messiah Yeshua says, Come, you blessed of My Father, inherit the Kingdom prepared for you from the foundation of the world. And for cursing the Jewish People, pressuring the Jewish People to give up large sections of her GOD-GIVEN Homeland to a people who strive to destroy the Jews, Messiah Yeshua says to those people, Depart from Me you cursed into everlasting fire prepared for the devil and his angels. Circumcision is GOD’S Covenant between GOD and Abraham and his descendants the Jewish People for AN EVERLASTING COVENANT to be GOD to Abraham and the Jewish People. And that GOD has given to Abraham, and the Jewish People all The Land of Israel for an EVERLASTING POSSESSION, and GOD will be our GOD, that is, GOD will be The GOD of the Jewish People Forever. People should understand what GOD means when He said to Abraham in Genesis 12.3 and repeated in The New Testament in Acts 3.25 and John 4.22. “In you, Abraham and the Jewish People, shall all the families of the earth be blessed.” All the families of the earth can be blessed by Abraham and the Jewish People by living by every Word GOD spoke to the Jewish people in The Bible. That includes living by GOD’S Law of Moses, and believing in the Jewish Messiah Yeshua for your Atonement. The world is blessed with the Jewish People. But unfortunately, as Paul teaches in 2 Thessalonians 2.11, GOD has sent them a strong delusion that they should believe a lie. The world is blind. Thus The LORD will fulfill His Words of Isaiah 66.22 which read, “For as the new Heavens and the new Earth which I will make shall remain before Me, saith The LORD, so shall your descendants and your name remain.” Meaning, the Jewish People live forever. 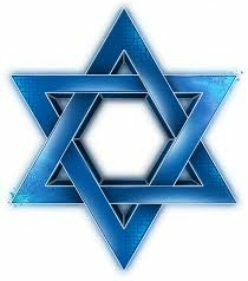 Israel lives forever, and the One and only religion of the future, the eternal and only religion of eternity will be patterned after the faith of Israel, Judaism. All can be blessed in The Jewish People. And that includes eternal life. It’s your choice. Posted on March 22, 2015 April 7, 2015 Categories UncategorizedLeave a comment on CHILDBIRTH, PURIFICATION, AND CIRCUMCISION. Shalom. Our teaching this morning from GOD’s Laws that are written in The Law of Moses will come from Leviticus 11.1-12. And the title of our teaching is, GOD’S FOOD LAWS. And with that said, let’s read Leviticus 11.1-12. LEVITICUS 11.2-3 These are the animals that The LORD permits us to eat. And The LORD gives us distinguishing features of those animals whose meat we are allowed to eat. The animal that parts the hoof has a split hoof. The animal that is clovenfooted has a split foot. The animal that chews the cud brings up its food from its stomach to its mouth. Those are the animals whose meat GOD allows us to eat, such as cattle, sheep, and goats, the deer, the gazelle, the roebuck, the wild goat, the ibex, and the mountain sheep, and any other animal that parts the hoof, is clovenfooted and chews the cud. See also Deuteronomy 14. LEVITICUS 11.4-8 These are the animals you shall not eat as commanded by The LORD. The camel and the coney. The coney is a rabbit and also a rodent such as mice, squirrels, beavers and rats. The hare is closely related to the rabbit but usually larger. GOD does not allow us to eat the swine. The swine is a pig, or a hog or a boar. They are all unclean to you and should not be eaten. LEVITICUS 11.9 The LORD only allows us to eat fish that have fins and scales. LEVITICUS 11.10-12 All creatures in the waters that DO NOT have fins and scales, such as shrimp, lobster, clams, snails, quahogs, turtles, and the like, you shall not eat them, The LORD GOD commands. The LORD says, they are an abomination to you. An abomination means they are filthy. Your body is the Temple of GOD. LEVITICUS 11.13-19 You shall not eat these birds. They shall be an abomination to you, saith The LORD. The eagle, the ossifrage which is a type of vulture. The ospray which is a type of eagle, perhaps a black vulture. And the vulture itself shall not be eaten by you. And the kite. The kite is a hawk, and all birds after its kind shall not be eaten by you. And every raven after its kind, you shall not eat. The owl, the night hawk, the cuckoo, and the hawk after its kind, you shall not eat. The little owl, and the cormorant which is a pelican and other birds that dive in the water. And the great owl. You shall not eat the swan, the pelican, the gier eagle, the stork, the heron after their kind. And the lapwing which is also called a hoopoe, and the bat, you shall not eat. LEVITICUS 11.20 All fowl, which in this writing are winged swarming, flying insects that walk on all fours are an abomination to you. You shall not eat them. LEVITICUS 11.21-22 Only these you may eat of every flying, creeping, swarming thing that walks on all fours, that have legs above their feet to leap upon the ground. The locust which is a grasshopper, the bald locust after its kind, the cricket after its kind, and the grasshopper after its kind. (LUKE 1.17) The wisdom of the just is the wisdom of the righteous. The righteous are those who live by GOD’S Law of Moses. That includes GOD’S food laws. Those are the people prepared for The LORD. LEVITICUS 11.23-25 But all other winged, swarming flying insects that have four legs shall be an abomination to you. And for those you shall be unclean. Whosoever touches the dead body of them shall be unclean until the evening. And whoever carries the carcass of them, shall wash their clothes and be unclean until the evening. LEVITICUS 11.29 These are unclean to you, and should not be eaten. The weasel, the mouse, and the tortoise after its kind. The tortoise written here is a turtle and a great lizard of every variety. They are unclean to you, and should not be eaten. LEVITICUS 11.20 I believe the animals written in this Scripture are the gecko that we see in the Geico ads, the crocodile, the lizard, the sand lizard, and the chameleon. They are unclean and should not be eaten. LEVITICUS 11.31 Those that creep, meaning those that swarm together in great numbers are unclean and should not be eaten. And whosoever touches them when they are dead shall be unclean until the evening. The LORD has additional laws regarding His food laws that are written in verses 32 through 43. And they project the seriousness of GOD’S food laws, putting difference between Holy and unholy, and between unclean and clean. LEVITICUS 10.10. LEVITICUS 11.32 When any unclean thing that is dead, and falls on anything, that thing is unclean whether it is a vessel of wood, or clothing, or leather, or sack, or bag. Whatever vessel it is where work is done, it must be put into water and it shall be unclean until the evening. Then it shall be clean. LEVITICUS 11.33-34 And every earthen vessel made of pottery where any unclean dead carcass falls, whatever is in the vessel shall be unclean, and you shall break the vessel. All food in it which may be eaten on which water comes on it shall be unclean. And all drink in every such vessel that may be drunk shall be unclean. LEVITICUS 11.35 And everything in which any part of the unclean carcass falls shall be unclean, whether it’s an oven, or range for pots, it shall be broken down. They are unclean, and shall be unclean to you. Simply said, keep all stuffs that are unclean and an abomination out of your house. LEVITICUS 11.36 However, a fountain or pit in which water is collected shall be clean. But whosoever touches the dead body of the unclean carcass shall be unclean. LEVITICUS 11.37-38 And if any part of their carcass of the unclean creature falls upon any seed which is to be sown, the seed is clean. But if water is put on the seed, the seed shall be unclean to you. LEVITICUS 11.39-40 If any animal that may be eaten has died, anyone who touches its carcass shall be unclean until the evening. Anyone who eats of the dead body shall wash his clothes and remain unclean until evening. And anyone who carries its carcass shall wash his clothes and remain unclean until evening. LEVITICUS 11.41-43 All things that swarm upon the earth, namely flying insects are an abomination. They shall not be eaten. You shall not eat among all things that swarm upon the earth. Anything that crawls on its belly, or anything that walks on all fours, or anything that has many legs, for they are an abomination. You shall not make yourselves detestable with any swarming thing that swarms. Neither shall you make yourselves unclean with them that you should be defiled by them. GOD has written these laws to a Holy People unto the LORD their GOD, whom the LORD their GOD has chosen to be a Special People unto Himself above all people that are upon the face of the earth. Deuteronomy 7.6. As Yeshua the Messiah often said, “He that has ears to hear, let him hear”. LEVITICUS 11.44-45 The conclusion of GOD’S food laws underscores the importance of GOD’S Holiness, and our Holiness. For GOD says, ” I AM The LORD your GOD. You shall therefore Sanctify yourselves, and you shall be Holy, for I AM Holy.” We, like the Prophets and the Disciples, and the Apostles must be obedient, followers of GOD, devoted and dedicated to GOD, doing the work of The LORD our GOD according to every Word He speaks in The Bible, and every Law of GOD that is written in The Law of Moses, set apart for The LORD’S service. That is our Holiness. That is being part of the Body of Messiah. Paul is NOT teaching about someone who becomes a Christian who is taught incorrectly that all GOD’S Laws that are written in The Law of Moses are invalid and done away with. No, GOD forbid. But Paul is teaching those people who turn to GOD correctly by living a GODLY and Holy life according to Torah, GOD’s Law of Moses, and according to every Word of GOD Almighty Whom Yeshua The Messiah is. Remember Luke 1.17. The Righteous are those who live by GOD’S Law of Moses. Those are the People prepared for The LORD. LEVITICUS 11.46-47 Your obedience to GOD’S food laws is you making a difference between the unclean and the clean, and between the living creatures that may be eaten, and the living things that may not be eaten. GOD says, “For I AM The LORD your GOD. YOU shall be Holy, for I AM Holy.” HOLINESS IS COMMANDED OF US. And Holiness requires us to live according to GOD’S food laws written in this Chapter, and every Law of GOD written in The Law of Moses, along with your faith in Messiah Yeshua Who is your Atonement for the forgiveness of all your sins. That is your Holiness. Posted on March 15, 2015 March 22, 2015 Categories Shabbat MessageLeave a comment on GOD’S FOOD LAWS. PURIM AND THE IRANIAN THREAT AGAINST ISRAEL AND THE JEWISH PEOPLE. Shalom. Our teaching this morning is about a Jewish Holiday that celebrates a great Jewish victory over an anti-Semitic tyrant by the name of Haman. And the title of our message is, Purim And The Iranian Threat Against Israel And The Jewish People. Haman was a Persian. And with the consent of the Persian King Ahasuerus, the King of the mighty Persian empire, Haman set out to kill all the Jews in the kingdom. The Persian empire stretched from India to Ethiopia 2,500 years ago. Today’s Persia is Iran, the same country that in their evil lust seek to annihilate Israel and the Jewish People 2,500 years later. And as The Mighty GOD of Israel raised up a beautiful Jewish girl by the name of Esther to be queen at the side of King Ahasuerus to save the Jewish People, The GOD of Israel will miraculously save His People Israel from the demonic threat of Iran today. Those that pursue evil against the Jewish People pursue it to their own death. There is a similarity to today’s sick Iranian ambition to destroy Israel and the Jewish People, and wipe Israel off the face of the map, as Haman fanatically sought to kill all the Jews in the Persian empire. Anti-Semitism might be the oldest disease in history. It seems that in every generation there is a tyrant, or a people, or nation that is determined to kill the Jewish People. It will never happen. GOD says so. And today’s Iran, along with its fellow haters of Israel and the Jewish People, Hamas, Hezbullah, Syria, and others, they too will fail. They too will fall and be brought down into the pit of destruction. Haman the anti-Semite was hung on the gallows he prepared for Mordecai. King Ahasuerus was assassinated in his bedroom later in his life. The Persian empire fell to Greece some 130 years later. And Iran is a third world country today. The Jewish Holiday is Purim, and because of the great Jewish victory over the anti-Semite Haman by the hand of GOD, Purim is a time of great joy throughout Judaism. The heroes of Purim are a beautiful Jewish girl by the name of Esther whom the Persian king chose to be his Queen, and Esther’s Uncle Mordecai. The villain is the Persian Haman aided by the totally inept and all powerful King Ahasuerus. Purim is a two day Holiday that started Wednesday evening at sundown, March 4th, and ended yesterday at sundown March 6th. Yesterday was Shushan Purim, the second day of Purim. The second day of Purim is called Shushan Purim because the Jews who lived in Shushan, the capital of the Persian empire in Persia where the king’s palace was were still fighting the battle with the Persians. Thus the additional day of Purim is called Shushan Purim. The Jews were victorious over the Persians in two days. So, at the mention of Haman’s name, you are invited to boo, hiss, or if you have a grogger, you can make as much of a racket as you please to blot out the name Haman. Before we move into the Purim story, we should look into some history. In 586 B.C.E., The GOD of Israel sent His Jewish people into exile because of their disobedience to The LORD their GOD, The GOD of Israel. The LORD GOD sent the King of Babylon, Nebuchadnezzar into Judah and He led the Jewish people into captivity into Babylon, today’s Iraq. And the Jewish People found themselves disbursed throughout the Babylonian empire of which Persia, today’s Iran was part of that empire. However Cyrus the great, King of Persia, captured Babylon in 539 B.C.E. some 47 years after Israel’s exile into Babylon. Another act of GOD for the punishment of Babylon. Because the Babylonians were glad and rejoiced and destroyed GOD’S heritage, His Jewish People. Jeremiah 50.11. And Cyrus established the great Persian empire where the Jewish people lived, in India, Pakistan, Afghanistan, Persia, Babylon, today’s Iraq, Syria, Jordan, Lebanon, Turkey, Greece, Egypt, Sudan, Ethiopia, and Israel. Years later a new Persian King arose, King Ahasuerus, better known in Iran as King Xerxes. The story of Purim is in the Book of Esther. So let’s turn to the Book of Esther, Chapter1, verses 1 through 5. The book of Esther is dated around 465 B.C.E. to 424 B.C.E. some 2,500 years ago during the time of the great Persian empire. King Ahasuerus reigned over 127 regions from India to Ethiopia, covering southern Asia, the Middle East, and Africa. Perhaps this recycled power is on the minds of the Iranian mullahs today whose leader Ayatollah Khomeini lies in an Iranian hospital with cancer. And Media, as in Persia and Media, was in today’s northern Iran in the area of Teheran. So here’s how the Purim story begins. The King Ahasuerus threw a six month feast for all his nobles and princes, and there were no restrictions on the amount of booze that was consumed. And after the six month feast, the King held another spread for everyone in his Palace for seven days. And his Queen at the time, Queen Vashti held her own feast for the women that lasted seven days. Why did the King hold these feasts? To show off his riches. The riches of his glorious kingdom, and the honor of his excellent majesty. King Ahasuerus was a powerful guy, but he was gullible and easily deceived. ESTHER 1.10-12 Queen Vashti refused to attend the King’s feast for whatever reason, but certainly because it was the Will of GOD for what was about to happen. So the King asked his advisors what he should do? Dump her, they said, and get yourself a new Queen. Again the Hand of GOD. ESTHER 2.1-8 So the King’s advisors suggested that he hold a royal beauty contest for the most beautiful virgin ladies in the kingdom, and the King would make his choice for a new Queen. And the King liked that idea a lot. Esther, I believe was her Persian name meaning star. And Hadassah was her Hebrew name meaning myrtle. A myrtle is a plant with evergreen leaves and fragrant flowers. Esther’s Uncle Mordecai brought her to the King’s house to compete in the King’s royal beauty contest. And for twelve months the girls were taught to apply makeup and sweet aloes. And Esther became the favorite of the King’s chamberlains. Another act of GOD. The chamberlains were castrated eunuchs, and these guys were in charge of the care of the beauty contestants. ESTHER 2.10 Mordecai told Esther not to tell anyone she was Jewish because he probably feared that she might not be permitted to participate in the Queen’s beauty contest, or perhaps even persecuted for being Jewish. Whatever the reason, her Uncle Mordecai told her to cool it, and not tell anyone that she was Jewish. ESTHER 2.16-18 So yes, the King loved Esther more than all the others, and made her his Queen. This was certainly the Hand of GOD for what was about to happen. ESTHER 2.21-23 Mordecai apparently held an office in the King’s palace. And he overheard a plot to kill the King. So Mordecai reported the plan to Queen Esther, and Esther reported it to the King giving the credit to Mordecai. And the two guys were hung on a tree. ESTHER 3.1-3 Haman was promoted for some unknown reason giving him great authority. An act of satan. And the Purim plot begins to heat up. Haman was an Agagite, and Haman hated the Jews. An Agagite was an Amalekite. And the Amalekites did their very best to kill the Jews when they came out of Egypt at the time of the Exodus. Haman was a descendant of King Agag who was the King of the Amalekites. GOD does not care much for the Amalekites because of their attempt to slaughter His Jewish People. A good reason why Mordecai showed no respect to Haman. GOD chose the Jewish People to be His servant and witnesses from before the Creation. And The LORD has great plans for the Jewish People. Even from the days of Abraham and throughout eternity. GOD chose the Jewish People to write The Bible from Genesis through Revelation containing His written Word and His Laws that are written in The Law of Moses for all mankind to live by. From the Jewish people, The Messiah Yeshua came in the flesh to give His Life in Jerusalem for our Atonement. And at some future time, The Messiah Yeshua will return from Heaven to Israel to establish His Messianic Kingdom in the Jewish Homeland of Israel. The New Earth will be the Heavenly Jerusalem, Hebrews 12.22. GOD has great plans for the Jewish People, and for all people who join in with the Jewish People according to The Law of Moses, having faith in Messiah Yeshua. And no one will ever change those plans. ESTHER 3.4-15 So Haman received a royal decree from the naïve King Ahasuerus to destroy all the Jews in his kingdom. But The GOD of Israel stands with His Jewish People forever. ESTHER 4.1-17 Mordecai knew that it was the Hand of GOD Who made Esther, a Jewish girl, Queen of the Persian Empire for such a time as this. ESTHER 5.1-5 A banquet with the King whose Queen is Jewish, and Haman an anti-Semite, and the Jewish Queen Esther. Haman is in big time trouble. ESTHER 5.6-14 Oh, the delusions of the anti-Semites, the enemies of the Jews. ESTHER 6.1-14 Haman’s end is the way of all who hate GOD’S Jewish People. Yes, their end will come. ESTHER 7.1-10 The Hamans in today’s Iran, the Jew haters in today’s Persia who in their delusions think to destroy Israel and the Jewish people will find themselves also in the Hands of The GOD of Israel. As with Haman, so will they. ESTHER 8.1-11 Persian law did not allow reversal of the King’s decree to kill the Jews, but the King granted the Jewish People permission to stand and defend themselves against those who would seek to kill them. The mullahs in Iran today, and their president, and all that follow them should be aware of the catastrophic ruin to those that work evil against GOD’S Chosen People, The Jewish People. They would be wise to read the Book of Esther and cease immediately with their plans to annihilate or even speak badly against Israel. ESTHER 8.11-17 And many in the Persian empire became Jewish for the fear of the Jews fell upon them. Today, there are still about 25,000 Iranian Jews living in Iran. ESTHER 9.1-17 The Jews killed 500 men who fought against them in Shushan. And they killed Haman’s sons and hung them on the gallows made for Mordecai. And they killed another 300 Persians in Shushan, but took none of their goods. And the Jews killed another 75,000 men of their enemies throughout the kingdom, but took none of their belongings. And they rested on the 14th day of Adar which is the first day of Purim. ESTHER 9.18-32 So the feast of Purim was established by Queen Esther, and her Uncle Mordecai. Purim is not a Sabbath unless it falls on a Sabbath. Nor is Purim a commanded festival of The LORD. But it is a time of joy and gladness, and feasting, a great time to remember, because GOD saved His People from the clutches of the demon, and gave them the victory over satan. And GOD will always give His People the victory over their enemies. That is the promise of The LORD GOD ALMIGHTY. As Yeshua The Messiah said, Who is GOD ALMIGHTY, to those who choose not to bless the Jewish people, “Depart from Me you cursed into everlasting fire prepared for the devil and his angels”. Matthew 25.41. ESTHER 10.1-3 Seeking the wealth of his People, means that Mordecai sought the good for his People, and spoke for the welfare of all Jewish People in their generations after him. So in conclusion, there are times in our lives when major problems confront us. But The LORD your GOD will always work a great miracle to deliver you, just as He did for the Jewish People in Persia. Our part is to believe in The Jewish Messiah Yeshua, Who is GOD ALMIGHTY for the forgiveness of our sins. And obey every Word that proceeds out of the Mouth of GOD, casting all your cares upon Him, because He cares for you. Posted on March 8, 2015 March 22, 2015 Categories Shabbat MessageLeave a comment on PURIM AND THE IRANIAN THREAT AGAINST ISRAEL AND THE JEWISH PEOPLE. THE MEANING OF THE VARIOUS SACRIFICIAL OFFERINGS TO THE LORD, THE NEW COVENANT, AND ISAIAH 53. Shalom. Our teaching this morning from The Law of Moses is from Leviticus 10.12-20. And the title of our message is, “The Meaning Of The Various Sacrificial Offerings To The LORD, The New Covenant, and Isaiah 53”. And with that said, let’s read Leviticus 10.12-20. LEVITICUS 10.12 Let’s start with the GRAIN OFFERING, also called the meal offering that is also called a meat offering in some Bibles. In Hebrew, the grain offering is HA MEEN’KHA. And the grain offering is Most Holy. THE BURNT OFFERING in Hebrew is OLAH, meaning, that which goes up (in smoke). The burnt offering is also a sweet savor to The LORD, and a sacrifice for a sin offering. It is a burnt offering because of the burning of the sacrificed animal on the altar all night until the morning. No part of the sacrifice other than the hide remained. THE SIN OFFERING, AND THE TRESPASS OFFERING. The LORD says, As the sin offering is, so is the trespass offering. There is one law for them. (Leviticus 4.13) Ignorance in Hebrew, in this verse, is SAH’GAH meaning to be misled, to stray, to transgress, mistake. Those are the principal offerings to The LORD. It is well known, especially in Judaism, that when the second Temple was destroyed by the Romans in 70 C.E., by the Commandment of GOD, the sacrificial system ceased including the sacrifice for atonement. Leviticus 17.8-9. That was the will of GOD. Why? For the purpose of The LORD GOD Himself in The Person of The Jewish Messiah Yeshua to make His own Soul an offering for our sins. Isaiah 53.10. And to be The New Covenant Who forgives our iniquity and remembers our sin no more. Jeremiah 31.31-34. Jeremiah the prophet prophesied that The LORD will make a New Covenant, widely known as a New Testament, with The House of Israel, and with The House of Judah. And this New Covenant is for our Atonement that replaces the animal sacrifice. And The New Covenant for our Atonement is The Jewish Messiah Yeshua Who is prophesied in The Law, The Prophets, and The Writings, and fulfilled in The Jewish New Testament Scriptures. Believing in Messiah Yeshua for Atonement, and obeying His Law of Moses is the correct and only way to receive The New Covenant that forgives our sins, and remembers them no more. But the Rabbis have given the Jewish People a false hope by making their own laws for atonement in order to sidestep and avoid Messiah Yeshua Who is The Atonement that The GOD OF ISRAEL has provided for His Jewish People. The Rabbis today teach Jewish People to reject Messiah Yeshua as The Servant Who gave His Life for our atonement that is prophesied in ISAIAH 52.13-15, AND ISAIAH 53. Let’s read those Scriptures. Generally speaking, the Rabbis say, the doctrine of vicarious atonement plays very little role in Judaism. Vicarious atonement is one person dying for the sins of another. Yeshua The Messiah is not just another person. He is GOD ALMIGHTY, The Holy One of Israel Who gave His Life for the Atonement of The House of Israel and others as a human being. This is prophesied in Isaiah 52.13-15 and Isaiah 53. But many Jewish scholars dispute Rabbinic theory that the doctrine of vicarious atonement plays very little role in Judaism by theorizing that The Servant Who gave His Life for Atonement in Isaiah 52.13-15 and Isaiah 53 symbolizes the entire Jewish People. Other Jewish scholars argue that The Servant in these passages is a specific individual. Targum, the Aramaic translation of The Tnakh, The Old Testament Scriptures, and various Midrashim, Jewish interpretations and commentaries on Biblical texts, identify The Servant as The Messiah. And of course, that is the truth. But other scholars strongly reject that theory, or should I say, they strongly reject the truth. And the Jewish theories about Messiah continue ad infinitum. Since it is The LORD Who declares the end from the beginning, and from ancient times the things that are not, Who says, My Counsel shall stand, and I will do My pleasure. And it is The LORD Who forms man, Who forms our spirit within us, Who forms our character, and determines who we are, what we believe, or don’t believe. It is The LORD Who determines who believes correctly, and who believes incorrectly. That is beyond the ability of man. And Christians who believe their scholars who teach that your salvation and forgiveness of sins through your belief in Jesus Christ is unconditional, and you are not subject to any conditions of GOD, and you are not required to obey GOD or His Laws that are written in The Law of Moses. That you have abundant grace to disregard GOD’S Law of Moses, and anything else you feel is burdensome to you in The Word of GOD. You do not understand GOD. Nor do you know GOD, nor do you understand The Bible. Salvation is of the Jews, Jesus said, John 4.22. Think on that for as long as you need. Salvation and forgiveness of your sins are CONDITIONAL. And GOD is a forgiving GOD when you repent and live your life for the LORD. EZEKIEL 18.20-23. Posted on March 3, 2015 March 22, 2015 Categories Shabbat MessageLeave a comment on THE MEANING OF THE VARIOUS SACRIFICIAL OFFERINGS TO THE LORD, THE NEW COVENANT, AND ISAIAH 53.